Choosing the right kind of roof and the best roofing company for the job can be hectic. Even with a variety of roofing companies in different cities, finding the perfect one can still be challenging. One of the best roofing options is the use of metal roofs. Although metal roofs are a bit expensive than the other roofing sheets, they are very durable and require minimum maintenance. If installed properly, these roofs can last over 50 years requiring an inspection once a year only. Sometimes finding the right roofing company to do your installation, inspection and repairs can be hard. Those who live in Rockwall, Texas don’t have to worry anymore. Beneficial Roofing Company is one of the best roofing companies that provide a wide range of services from installations to inspections. 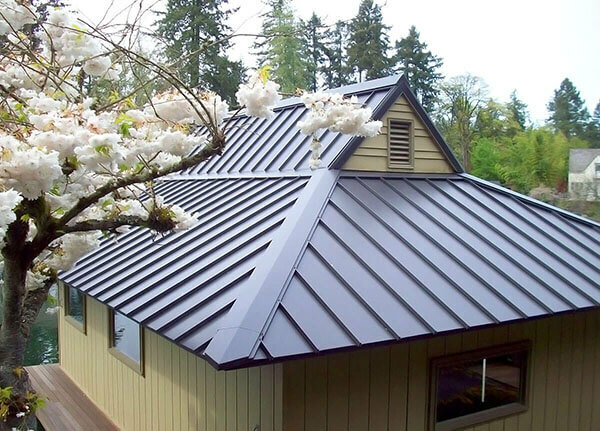 We also have a large number of products including different types of metal roofing material. As a company that has been around for a long time and has a great record of accomplishment, you should call us to install your metal roofs. At Beneficial, we understand that a client should have the final say when a job is finished. This means that when a client is not satisfied with the work, we have to redo it until the customer gets the perfection they deserve. We also know how to handle difficult customers with respect and calm nature. Our services are available for both residential and commercial purposes. Aside from the interactive customer care service, this company gets along well with the Rockwall community around it. We take part in all the community functions ensuring that we do our part in making the community safer and better for everyone. As a client, you’ll get detailed information on the different services and products fit for your home from Beneficial Roofing Company. This will keep you informed making sure that you make the best decisions that suit your living conditions. For durable and long-lasting products, this is the place to call. The roofing products can handle different conditions and still stay in great shape. With our metal roofing products, you won’t have to do frequent repairs and you won’t have the need to change your roofing for a very long time. Roofing material can be expensive especially the metal roofing material. Our services and roofing products come at great discounts that suit your budget. We also have amazing offers from time to time for our esteemed customers. Building or buying a new home is usually exciting. In such cases, soon to be homeowners pay attention to other parts of the home and forget about the roof. This can result in many damages and losses. Whether you’re a new homeowner or old one, your roof should be one of your top priorities. Even those who are responsible for commercial buildings and institutions like schools shouldn’t take the roofs for granted. If you can afford it, use metal roofs in your buildings. call us today to inquire more about metal roofing and romise to provide you the best available services in the market today.